Another morning breaks across Europe, the migrants and refugees keep streaming in and the EU remains in chaos over how to deal with the crisis. Undeterred by the closure of almost all road crossings into Croatia, thousands are entering the European Union’s newest member state at Tovarnik just over the border from Serbia. From there the only option remaining is EU and Schengen member, Slovenia. 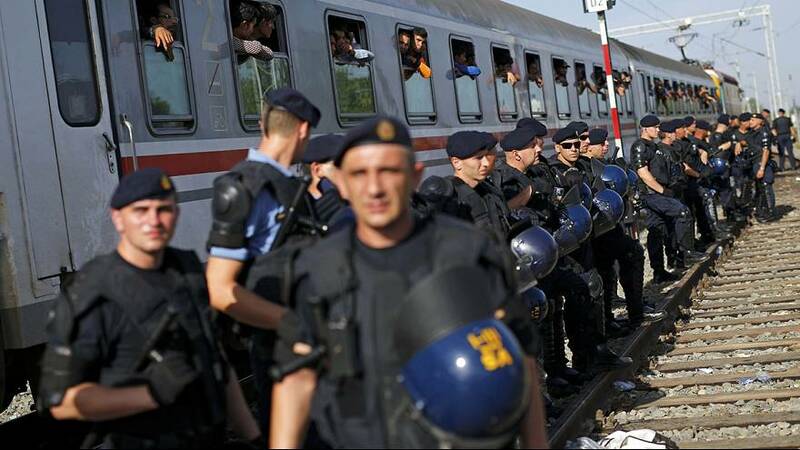 People have been trickling into Croatia for several days, their path to their final destination in western European nations like Germany forced to change following the introduction of tough legislation by Hungary. The threat of imprisonment and deportation for those described as entering the country illegally along with riot police guarding a 3.5-metre high fenced border too much for the thousands seeking a better life. On Friday morning, Hungarian Prime Minister Viktor Orban announced that a 41-kilometre long fence along the country’s border with Croatia, and not separated by the Drava river, will be completed by the end of Friday. Hundreds of soldiers and police have been deployed to the area. The EU will hold an emergency summit next week in a fresh attempt to deal with the disarray within the 28-member bloc on how to find a solution to the crisis.